Welcome back from spring break! Can you believe finals week is 4 weeks away? Make sure to plan ahead and know when your final will take place for each class. See schedule. Finals week is May 20-24th. Do you have a CCCID? Find out why you need a CCCID by May 24th! Wednesday, April 24, 2019 | 11 a.m. to 1 p.m. 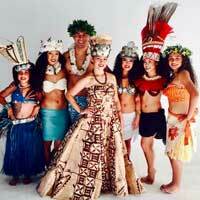 Various dances performed by the Polynesian Club of Fresno! As of fall 2019, Geography 5 and 9 will no longer be offered at CCC. If your Student Education Plan lists “Geography 5 or 9,” you should register for Geography 1. There's always a lot going on at Clovis Community College. Stay informed by checking in on our upcoming events on a regular basis. You can type cloviscollege.edu/crushalert into your browser. Select Crush Alerts from the drop-down menu. You can also access it from the Student Resources page by clicking on the Crush Alert link button. Find out how to download Office 365 for free and where to get discounts on laptops, tablets, printers, iPhone and iPad accessories! Did you know you can enter the college off “International” Avenue and there are 4 LARGE parking lots there. To receive Clovis Community College Transfer information updates through the remind app text CCCtran to 81010. Receive information on CSU/UC application workshops, TAG, Transfer Day, outreach representative visits and lots more. Learn more about Free Tutoring Services available to all students. STEM subjects on M & W in AC1-141 from 10 to 11 a.m. and all subjects on Tues in AC1-141 from 3 to 4 p.m. Learn more about free services including job search, resume preparation, career major exploration, and more. Find a rich source of resources including access to a variety of databases, information on how to cite, and online reference and research help. Plus, much more! You may be able to get textbook assistance. Contact Emalee Aguilar at Emalee.aguilar@cloviscollege.edu or 325-5391 to set up an appointment to meet with Dean Gurdeep Hébert. View Food on Campus schedule to know when La Jacka Mobile Taco Truck, Quesadilla Gorilla, and Dutch Bros | Dutch Bros. Coffee will be on campus or to view Crush Café hours. Visit Health Services, AC2-274, Monday thru Friday 8 am to 4pm (closed 11:30 to 12:30) or call 325-5318. Or visit the Herndon Campus/Student Lounge, Monday thru Friday 11 am to 2pm or call 324-6400. There are 2 shuttles: To and From the main campus to the Herndon Campus AND To and From the main campus to River Park.